These are lines from the last page of Bolano’s novel, containing in them one of the many keys for reading this masterpiece, a masterpiece that hovers between confusion, terror, and poetry. Eli Evans in Bookslut review rightly argues that Latin America or Latin Americans, as portrayed by Bolano, are not to be taken as ‘real.’ She/He goes on to say, quite courageously, that Bolano’s Latin America is as much an imagination of Latin America as Arturo Belano – the alter ego of the writer, also a character in the novel – is of the author. Such imaginary substitution leads to a gap, and perhaps this gap is Bolano’s intention. I agree with her/him. It is the last part of the excerpt above, though, where ‘desire’ is mentioned, that my interest accumulates. I believe that to consider an interpretation that raises the question of what Bolano wants to say about Latin America is relevant, but not the moot point. My point of deviation is the fact that in none of the reviews I’ve read online has the question of a psychoanalytic reading of ‘Amulet’ been raised. The novel is Auxilio Lacouture’s monologue, from a toilet inside the Department of Philosophy and Literature in the National Autonomous University of Mexico City (UNAM). The time is September 1968. Soldiers have taken over the University, and are making student arrests. Terrorized by what is happening outside, Auxilio chooses to lock herself in the toilet. For company, she has a book of poems by the Spanish exile Pedro Garfias. Readers of ‘The Savage Detectives’ will remember Auxilio as a minor character in that novel. Her entrapment, or rather her fixation, to this toilet for twelve days is the fulcrum of the novel. In her stall, she claims to have given birth to Mexican poetry. And from her stall, she ventures both back and forth in time and sees how Mexican poetry came to be, and what is to become of it. Auxilio calls herself, at various times, “the mother of Mexican poetry,” the mother of all Mexican poets,” “the mother,” et cetera. This, I claim, is, more than anything else, the most blatant, among many blatant and subtle others, invitation for a psychoanalytic reading of the text. One has to begin from the beginning. Auxilio is from Montevideo, Uruguay. Whether there is a hidden meaning in the fact that the mother of Mexican poetry is from the continent down South, is something that may interest Eli Evans but does not interest me. It does not bother Auxilio either who, although giving some thought to the fact that the young poet Arturo Belano is actually from Chile, and that that means that he is not Mexican and that she is not his mother (if one sticks to the axiom of her being the mother of all Mexican poets), this notion is dispelled quickly, and if at all there is a tending-to-explicit mother-son relationship in the novel, it is that between the Uruguayan Auxilio and the Chilean Arturo. What was there of Mexico in it, then, except Mexico City? you may ask. Exactly! Isn’t that a joke that should make us desist from Mexico-centric readings of the novel? Auxilio is from Montevideo and comes to Mexico City, for no clear reason at all, except that it is hinted that her drive to Mexico city was perhaps made necessary by her past, a past having something to do with her father. But should we then delve into her subjectivity, analyse her? No, she doesn’t want that. The novel is not about what Auxilio is in herself, but rather about what Auxilio can reveal, howsoever obliquely, about poetry and poets in general. Which is true for all Bolano narrators, isn’t it? 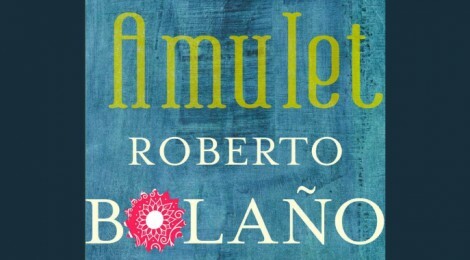 Bolano’s first person narrators are engaged with the true subject, poetry, but can never approach it in a manner that truly satisfies the reader. And it in this ‘not really talking of what is to be talked of,’ that Bolano hints that our pleasure lies more in wanting what we want than in getting it. Auxilio comes to Mexico City and spends time as a domestic help in a house where Pedro Garfias and Leon Felipe, two old avant-garde poets in the Spanish language, stay. You see, she immediately goes into the service of poetry. pero no había nadie para venir en nuestra ayuda. In our misery we wanted to scream for help, but there was no one there to come to our aid. Here Chris could have added a footnote and told us the meaning of auxilio. That would have allowed the common reader to clearly see some affirmation of the theme in Auxilio’s becoming a ‘help’ in the poets’ house. A vase in the poet’s house often attracts Pedro Garfias’s melancholic gaze. Auxilio is mystified by this vase and happens to gape at its mouth, at the dark abyss inside. She is attracted by the infinity and comes close to kissing the mouth of the vase. There is a violent impulse too, to break it, due partly to the fact that it makes Pedro Garfias sad. This near-action reminded me of another similar one, in ‘The Sound of the Mountain’ by Yasunari Kawabata, where Shingo, the old protagonist, comes close to kissing a Japanese Ngo drama mask touched by his daughter-in-law, Kikuko, whom he is in love with. But the vase business here is longer than in Kawabata, and its symbolic value is more oblique. Then I thought: Does Pedrito Garfias know what’s hidden in his vase? Do poets have any idea what lurks in the bottomless maws of their vases? And if they know, why don’t they take it upon themselves to destroy them? The kiss of the vase did not happen, but the vase does transfer some its abyss to Auxilio. In a near miraculous twist, she loses four of her frontal teeth, and this is her reaction. …I didn’t care that I had lost the four most important teeth in a woman’s mouth, and yet in another sense their loss had left a deep wound in my being, a burning wound that was necessary and unnecessary, absurd. Now is time to make claims. The bottomless vase is a symbol for the unknowable depth of our desire, and when applied to the desires of poets, it is the very unknowability of poetry’s desire. In its transference from Pedro Garfias’s vase to Auxilio’s mouth, this unknowability prepares Auxilio for the birth of Mexican poetry. (Although Auxilio loses her teeth after September 1968, which is when she putatively gave birth to Mexican poetry, it is not difficult to see that chronology, in this novel, has nothing to do with causation). After she has become the mother of Mexican poetry, her task is to prevent the poets from gaping into that very infinite maw, and so whenever she talks to poets in the various meeting places described, she puts a hand to her mouth. But this gesture, of saving the poets from a dark infinity, is futile. A poets knows this terrorizing unknowability, a poet knows that he does not know what he wants, which is precisely why a poet is a hysteric, psychoanalytically speaking; and poetry is, in fact, the response that the wall of language provides when the hysteric bangs his head on it, asking What do I want? What do I want? What is the desire of the hysteric? A child wails when he does not have language and does not know what he wants, wanting only an affirmation of his desire in the (m)other. A poet, a hysteric, like a child, has the same problem even though he possesses language. A poet does not know what he wants, and he is made hysterical by the very fact that he is condemned to approach this unknowable center of his desires, hidden behind the wall of language, and all that comes out is poetry. A poet too wants an affirmation of his desires in the (m)other. This is why Mexican poetry needs a mother, a help beyond helps, an auxilio beyond auxilio. This is what Auxilio Lacouture provides. The truth is that our history is full of encounters that never occurred. We didn’t have our Pound or our Yeats; we had Huidobro and Darío instead. We had what we had. Of course, such a realization comes with its usual sense of tragedy, the tragedy of youth, and the tragedy of literature’s inevitable march to obscurity, and the powerlessness of poetry. Metempsychosis. Poetry shall not disappear. Its non-power shall manifest itself in a different form. That the unknowable is unavoidable for the poet is displayed by the dream sequence that ends the novel. The mother Auxilio watches as a file of children walk into an abyss, an abyss that is the vortex of poetry’s unknowable desires, to the site where a psychosis, and even a metempsychosis, is possible.